"I don't even have the spirit to kill myself. It feels like I am drowning, in black water." Marineland has filed a $1 million lawsuit against a student in the United States who has made a short film about Kiska, the remaining lone Orca residing in the park. 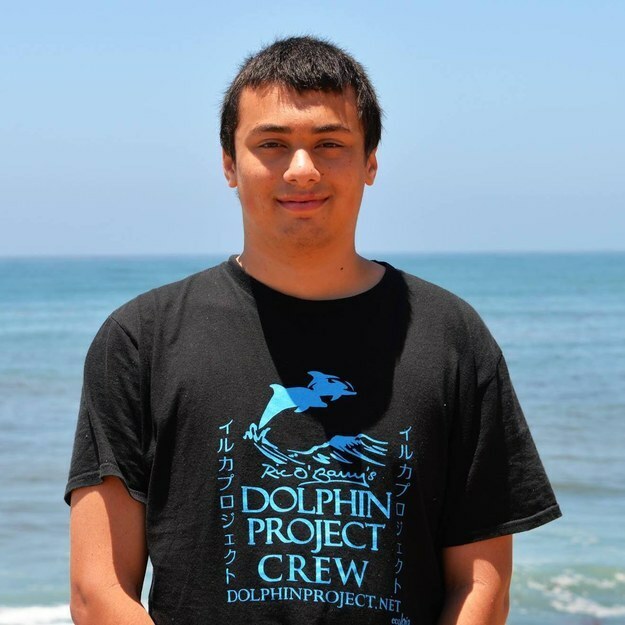 Marineland is claiming Zach Affolter, a student at Humboldt State University and San Diego native, has illegally used footage of Kiska in the park without obtaining rights to use the intellectual property. Affolter, who has been praised for his advocacy by PETA and has won an award for his work, sees the lawsuit as nothing more than an attempt to bully him into silence and prevent him from releasing his short film, "Black Water". Affolter contends the film, which he has worked on for a year, is not a documentary, rather a narrative told from Kiska's perspective. The 10 minute long film portrays what life is like for the 40 year old Orca, trapped in a tank and living in solitude in the park. He says the footage and images he used of Kiska were all found online. Marineland contends Affolter is simply being used as a, "patsy" by radical activists with the commercial goal of making money off the propaganda film. Affolter maintains, "Black Water" was always intended to be released free to the public online. 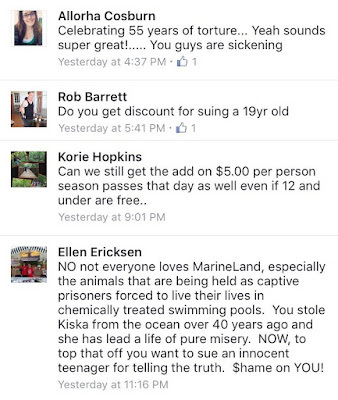 Since news of the suit was made public animal advocates have been bombarding Marineland's Facebook page, admonishing the organization for suing the 19 year old film maker. As soon as the comments are published however, they are almost immediately deleted. "What's next, will they sue an eight-year-old girl who writes a poem about captive belugas? I think this is part of a wider legal strategy Marineland is attempting to employ where they are trying to keep any video or photos taken inside the park under their copyright control, and prevent the public from seeing anything that could damage their brand." This Saturday, May 21 advocates will be holding an annual demonstration on opening day at Marineland. More information can be found on the event's Facebook page.